The Chase-N-Dad Racing team spent Thanksgiving weekend closing out the 2018 season by representing their partners at two different events and locations. Rick headed to Prescott Raceway for The Thanksgiving Bracket Race which had a last-minute race format change due to weather. Chase went to Big Country Raceway in Abilene to represent the team and its affiliates at The Thanksgiving Throwdown bracket race event. 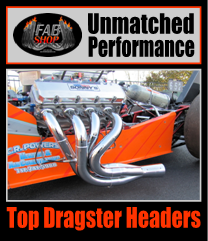 Rick went to third round both days of the shortened event in both Chase-N-Dad racing dragsters. Chase closed out the season in the Camaro with a second-round exit on Friday and securing a runner-up finish, falling short to Chad Broom in the $7500 final, on Saturday. Chase didn’t utilize the buy backs at this event so his final round appearance was protected only with consecutive round wins. The Chase-N-Dad Racing duo got many questions at the events asking why the two weren’t racing together. Both Rick and Chase agreed that it was necessary to cover two events at the end of the year to deliver maximum exposure for their supporting partners and sponsors. Both Rick and Chase will be in attendance at the 2018 PRI Show hosted at the Indiana Convention Center, December 6-8. You can also find more about Chase-N-Dad Racing online at www.ChaseNDadRacing.com or on Facebook at www.facebook.com/chasendadracing . If you’d like more information on this topic, please contact Chase Huffman @ (817) 648-9900 or via email chuffman431a@gmail.com .